You have to stand out from the crowd. Why? Because otherwise you are becoming one of the 50 thousand shades of grey startups that are lost somewhere in the world. Never be “one of the”, be “the one”. This article is for you even if you are not an entrepreneur. In fact, the Secret Sauce Conference was also for you, but since you are reading it now wondering what the hell Secret Sauce is, I am guessing you missed the whole thing. Basically it is the one ingredient missing from your life in order to “hack your business to success” — that is the official slogan. 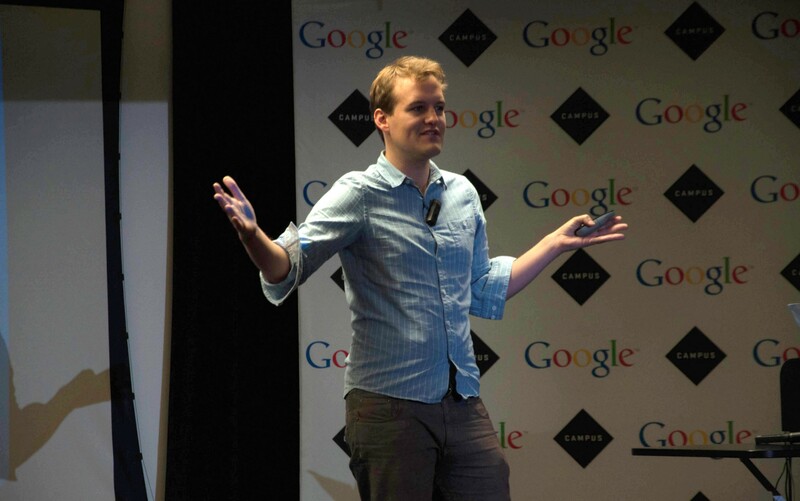 The whole conference took place at Campus London — Google space for entrepreneurs to learn and work. The event has been organized by Vincent Dignan, growth hacking guru and the founder of media company Magnific, to help boost London’s startup community and give valuable advice for those entering the world of startups (or generally curious, like me). The conference was designed to avoid “guess working” by dividing twenty speakers between two floors — everyone had access to the official website to get an information about speakers, their topics and times, thereby choosing what they needed to hear the most. Everyone was given around 25 minutes for the talk and some time afterwards for the questions from the audience. Secret Sauce Conference kicked off with Vincent himself, welcoming the audience with upbeat music, much needed on a Friday morning. The mood was set and we were ready for action. What I want to do here is to share the summaries of three presentations, that reflect the very idea of the conference — starting up with your personal qualities, followed by the idea generation & launching and finally, spicing it all up with tricks from Vincent what exactly you should do to hack your business to success. Today it will be a summary of the talk by Matthew Clifford, co-founder and CEO of Entrepreneur First, with two more stories coming in the next couple of weeks, so enjoy this one and stay tuned for more! At that point I was thinking what the hell honey badger is, but wait, it gets interesting. The first, long-termism, represents true dedication to whatever it is that you are doing, the true passion. Or, as he puts it, “to have a sense of mission” as if the world cannot exist without your product. Competitiveness represented the feeling that you would have if your competitors were sitting beside you willing to eat your lunch. He stresses the fact that you have to have the feeling of being in the fight of your life, which in fact extremely contributes to the startup success. Clifford adds, that to be a founder is to have mental rebelliousness, which is not for everybody and that is okay. Believe in yourself and be a badass (in a good way). This is where the honey badger comes up. Expand your comfort zone, as it is known that more start-ups die of embarrassment and not because of running out of cash. Creative approach to entrepreneurship is exactly what secret sauce is, and what the conference was based on. I really hope tips above will be useful and practical and if they are — please recommend our post and comment your thoughts below. And of course, stay tuned for the rest. & the third part on the “Content Marketing 101 and How to attract humans” by Vincent Dignan.